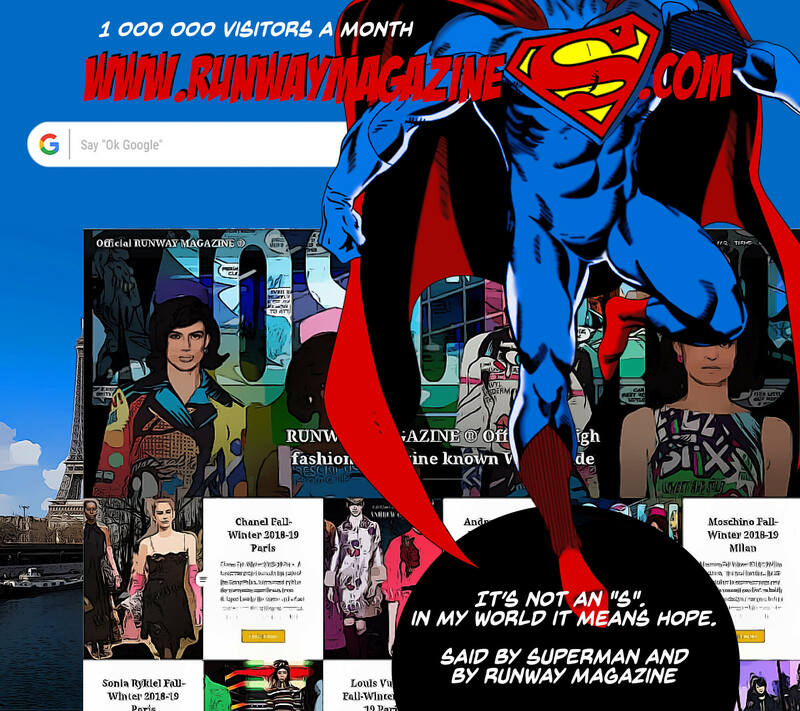 RUNWAY MAGAZINE is a printed and digital AMERICAN-FRENCH media known worldwide since 1995. 40 000 copies distribution in USA by Barnes & Noble, in Europe in lines of WHSmith, Magazin du Nord, and Publicis Drugstores. Printed book comes ones a year – luxury edition of best shows in high quality, 300 pages. 1 000 000 readers a month. Our web-platform is one of the most popular media platform in fashion industry. We are taking care about famous and emerging designers. We appreciate finest savoir-faire and art. We are working with the fashion schools. We are giving the best media support in fashion industry and market of today. We are participating in government projects about art, fashion and design.